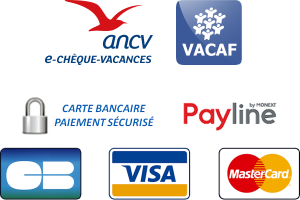 4 km from Vallon-Pont-d'Arc and the Gorges de l'Ardèche, in the village of Lagorce, a small picturesque village in southern Ardèche, our 3-star campsite is located in the heart of the Ibie Valley, where you enchant with its natural beauty, its watercourse, its waterfall. In this beautiful corner of Ardèche, you can vary your hobbies, sports, discoveries, relaxation, and find all amenities. 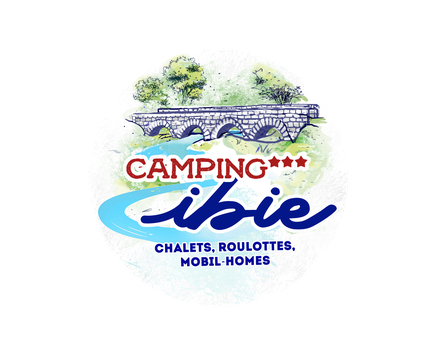 Camping Ibie is perfect to combine holidays and nature, tranquility and friendliness, as vacationers and campers are spread over 5.5 hectares of natural space. Everyone will enjoy this beautiful green setting, in the shade of oaks, and with the scents of wild thyme and rosemary as a company. On the ground, different types of hiring await you: Pitches, wooden chalets, mobile-homes, roulottes ... But also a swimming pool, a snack and a restaurant, what to decorate your stay! Taking advantage of the ambient charm, you can however stay "connected" by taking advantage of the wifi on the whole campsite with different paying packages. Possibility to accommodate groups of 60 to 80 people (contact us).